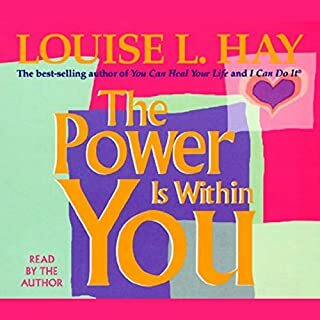 ©1995 Louise L. Hay (P)1995 Hay House, Inc. 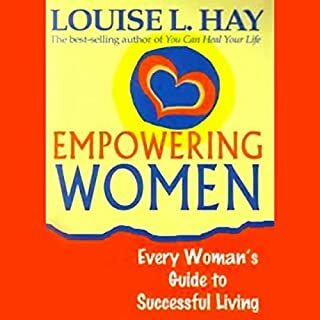 I purchased the book as a really like Louise Hays work. 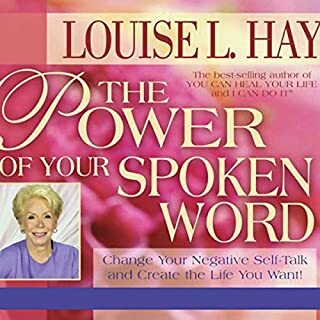 The book said it is narrated by Louise Hay. 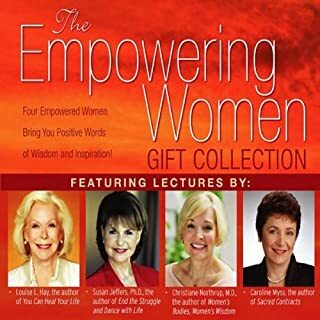 Half way through the audiobook it starts being narrated by a different woman. So the essence of listening to Louise has completely been lost in the second half of the book. Very disappointing as it says the book is narrated by Louise. Something to look into when promoting. 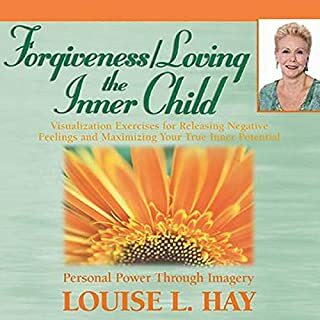 Louise Hay has changed my life through her positive thinking technique. 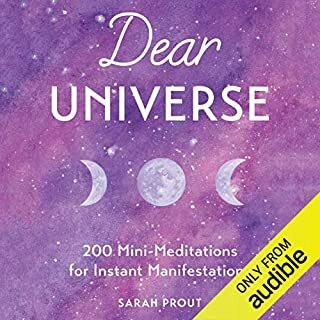 I was on the verge of committing suicide when I read this book and listened to this audiobook. The way she teaches to change your thought patterns is incredible and empowering. 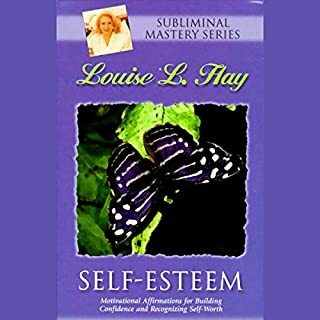 I have used her daily affirmations and thought patterns to improve my mental health and love life again. I also love myself and everyone in my life. Beautiful book that has given me a new perspective on life and the challenges that life throws at you. Great book...I can't say I 100% agree with everything that she says but 80% of it is right on the money. I can see a lot of her theorys in everyday life, but for the most part very enlightning. I listen to it about once every 2 weeks. It keeps me on the "Right Track". 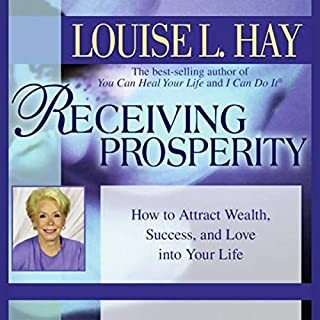 What was most disappointing about Louise L. Hay’s story? I like to ride my bike and listen to books. I have done this a number of times, but with this book the narrator's voice was so light it was impossible to hear her during my ride. 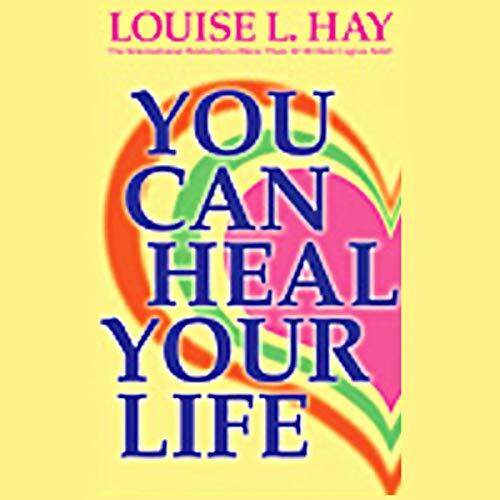 Would you consider the audio edition of You Can Heal Your Life to be better than the print version? Part way through it seems the narrator changed or something was done with the sound quality (it improved) not sure why but it does not take away from this book. I found this book very inspiring. This book really gets you to look inside yourself and discover who you truly are. I bought this by accident, I didn't realize it was the abridge version. I finally got the unabridged version and I'm up to the third chapter and I feel ripped off. I wish I realized the difference before I bought this one. I was always a strong beleiver in your thoughts create your reality and you can manifest whatever it is you want. but i had a hard time actually manifesting the things i wanted and now i understand what i was doing wrong and have improved it. 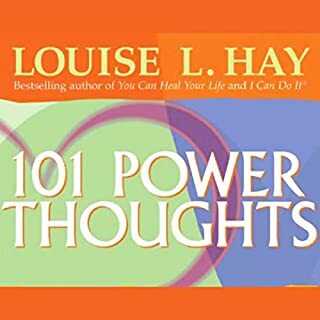 Some people say that your thoughts create your reality, and Louise Hay guides you through changing the 'stinking thinking' humans seem to continuously indulge in, into thoughts that shape a beautiful present and future for yourself. 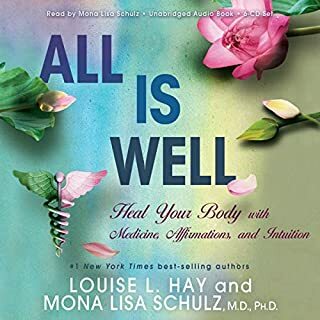 I have heard stories about people being healed from incurable diseases by doing this kind of work - so in my opinion - if it is that powerful, I am going to check it out and give it a try. 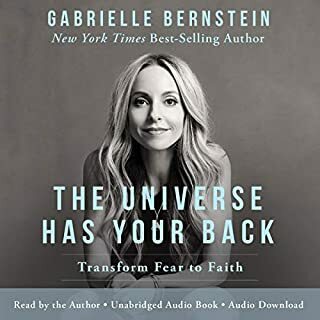 I know that everytime I listen to this audiobook, I get something else out of it. It is a treasure chest of wisdom and guidance and a book I intend to keep in my ipod. This book was recommended to me in 1998 when I had difficulties with professional assignments that required me to supervise quite difficult staff. Louise is a unique lady and may seem a little off the wall but don't let that fool you... she knows what she's talking about. The wisdom here is clear and her philosophy simple enough to understand. She's saying that affirmations can change you & your life... and I believe she's right. I have hundreds of self help books because I train people for a living so I know which ones I keep going back to and which I will never open again. P.S This book has sold over 40 million copies. What does THAT tell you? I first had this book when I lived in America, I gave it away when I moved. Since joining Audible here in the UK, I decided to order it. Why did I wait so long? Probably because I wasn't ready to hear what the teacher had to say! 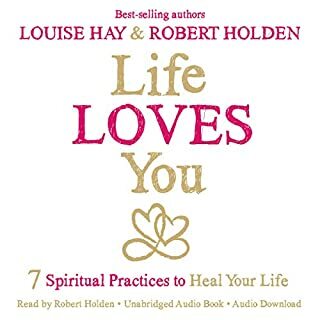 This is truly a heart felt book written from the heart & spirit, snippets of thoughts to take you through the day, I've listened to this book at least twice & continue to re-listen to snippets of the book again & again. 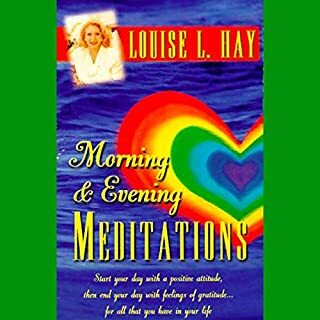 Louise Hay is authentic and writes from life experiences, well worth the read. As I started to listen to this book, my initial reaction was a sigh. I've read/listened to basically the same, in varying formats from other authors (all enjoyable, but the same) before. But just like others that I have read, it begins to change. Louise does have some variants on ideas, but what was the most enlightening and exciting part of the whole story, was the part about herself. 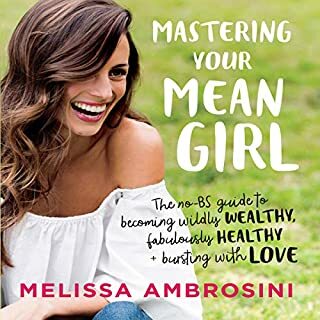 She has a beautiful calming and clear voice and when her life is revealed you are compelled to listen to how her actions have worked for her. I ended the book thoroughly enjoying every bit. I would recommend it highly. 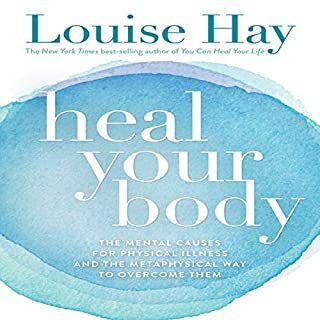 Having suffered with anxiety for many years and tried various different things, finding Louise L Hays book is the one pivotal thing that made me start to look at things differently and turn things around. It is amazing how much sense it really makes and even now whenever I feel that things may be a little heavy I can turn to this book and re read it and everything starts to make sense once again. It is my little 'kickstart' and reminder that things can change and no one should need to feel there is no better way. 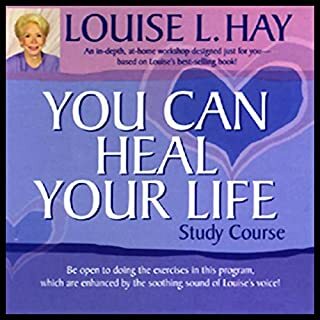 Love Louise and You Can Heal Your Life but sound quality is not good at all! 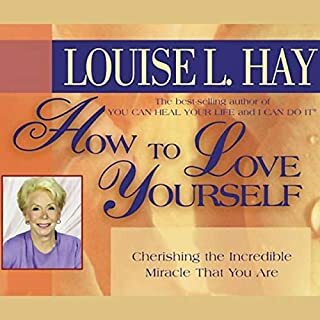 It’s great hearing this read by Louise Hay herself. Her conviction is palpable and inspiring. I owe it to my mother that I grew up with the wisdom of this book and it has guided me through the years. Each time I open the pages again over the years, whenever I feel I need some advice, I find new revelations that are apt for my current situation. I believe but am not particularly religious, so have always considered this book as my Bible to my life. 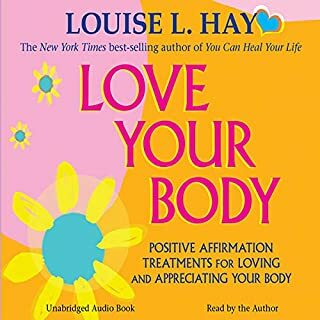 I choose to live a positive, happy and healthy life and whenever I feel out of kilter Louise's book has helped my funds my way again. The book (not audio version !) is much more thorough and I highly recommend reading it!! With great thanks to L.Hay and her wonderful work, Cornelia F.
amazing book. Covers everything to help with self healing and understanding. good to listen to and then listen again and work through the exercises. I think it was recorded awhile ago, could do with some sound work.